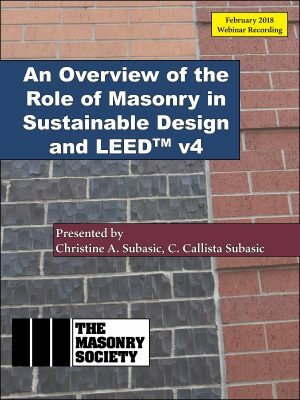 After selecting masonry as a system for a project, a designer is faced with many choices of materials. For mortar and grout, one of the key ingredients is cement. With so many cementitious products available in the market, it can be difficult to know which ones are right for your project. It’s therefore essential to have a clear understanding of cement specifications that are referenced in mortar and grout standards. 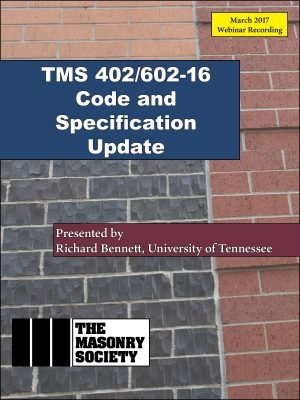 This webinar will review current cementitious materials that are allowed by ASTM mortar (C270) and grout (C476) specifications, provide a description of each type of cement, discuss key properties of mortar and grout, and show how to specify cements for mortar and grout efficiently and effectively. 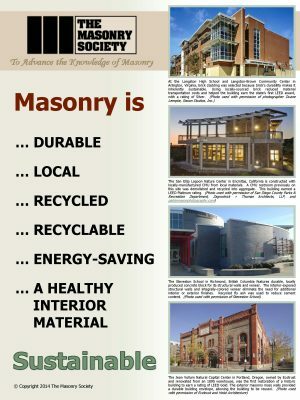 Understand the similarities and differences between portland cement, blended cement, hydraulic cement, and other cements specific to masonry construction. Review the cementitious materials and standards that are referenced in ASTM C270 on mortar and C476 on grout. Review the relevant properties of mortars and grouts and proper quality assurance techniques. 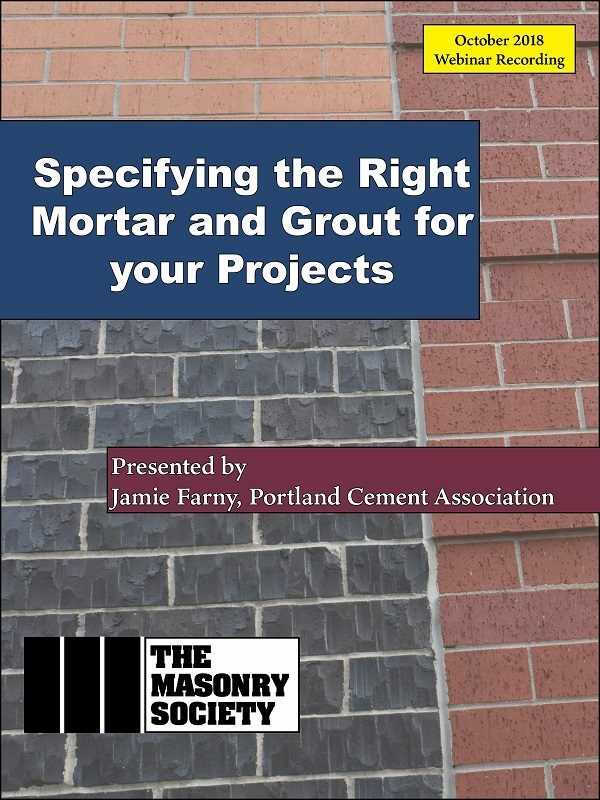 Discuss effective specifications for cements for both mortar and grout. This webinar was originally presented on October 11, 2018. Purchasing this product will grant you access to the webinar recording and a PDF of the presentation. Certificates of attendance are not available for this webinar recording. Jamie Farny is director, building marketing for the Portland Cement Association. He focuses on promoting the use of cement-based materials for low-rise buildings including various forms of concrete and concrete masonry. 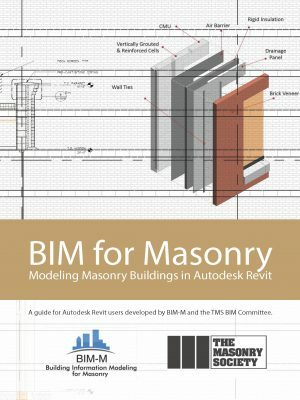 He is a member of several industry groups: The Masonry Society (TMS), the American Concrete Institute (ACI), and the American Society for Testing and Materials (ASTM). Farny has more than 25 years of experience in the construction industry and holds a B.S. degree in Civil Engineering from the Illinois Institute of Technology.